Seattle! I've been gearing up for a big move for months, actually almost a year now, but over the last 3 months or so the location was finally picked and I'm so excited to move up to the Pacific Northwest! My best friend Steph and I are moving up there together to start our real post-grad lives. (I'm not sure if this year really counted for me with everything being extremely chaotic and well, out of the ordinary to say the least.) 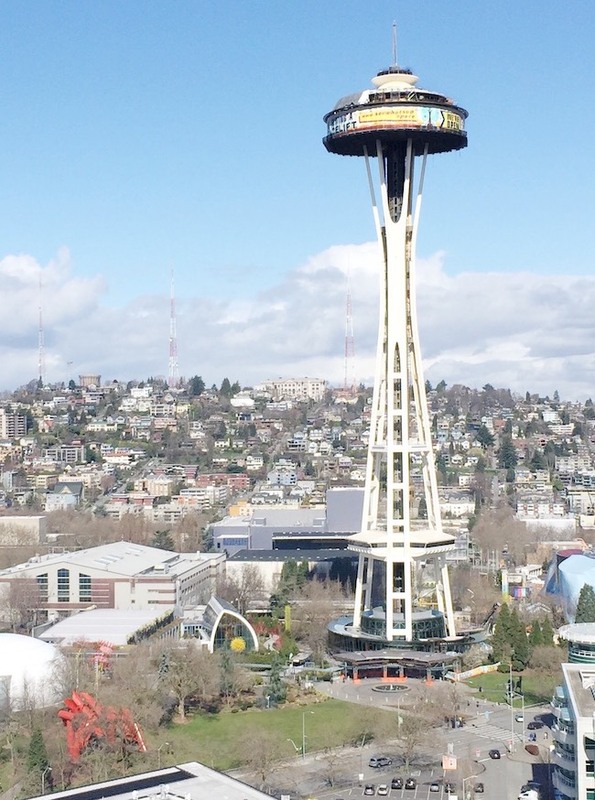 I'm sharing my reasons for leaving the OC, my reasons for picking Seattle out of everywhere else, and some sneak peeks into our new apartment. I'm SO excited to share this info with you all since I've been trying to keep it on the down low for so long! Although I've had a great time in Orange these past few years, it's just time to move on. Orange isn't your typical college town, but it can feel like it at times. Sometimes it feels like the only people who are living here are Chapman students or the older generation who hates that Chapman University is growing. While I was in school it was a great environment and had everything I needed at hand, but lately it feels like I'm getting too old to still be hanging around my alma mater. I'm also falling into what seems like a rut in my routine where all I'm doing in my free time is going to the outlet mall or seeing a movie, not exactly how I want to be spending my life. I am definitely in need of some change in that department! Another thing about Orange County that I have been against for years is the weather. Although I've lived in California my whole life, there's nothing worse to me than a hot California summer (thank god we don't have humidity though, I don't know how you East Coasters stand it!). Temperatures down here hover around 100 degrees with many days being hotter than that. It's miserable. I've never been a fan of warm weather, and had always wanted snow or a better version of the four seasons, so that was something Steph and I were looking for in our new city. Seattle wasn't actually on my list of cities at first. I was hoping for a city in the South or even on the East Coast, I was very 'meh' on the idea of moving here until everything that happened last September. A few people have asked me if I really want to live in the city where my mom passed away, and although it's still very difficult to deal with, I'm also somewhat comforted by the fact that some memory or part of her is in Seattle. As one of my mom's friends put it, she thought Seattle was beautiful enough to make it her last stop. This is personal and a little odd, but in a way I think I needed to have such a difficult time in Seattle to realize that I can make it on my own there. For the majority of the time of my visit last September I was exploring the city by myself and trying to understand it on my own. I needed that sort of alone time to recognize that it was possible for me to live there. After that it was almost an easy choice to move there. That's the main personal reason for the move, but there were obviously a ton of other factors that came in to play as well! Something I mentioned before was the weather. Steph and I LOVE the rain. We're both from the San Francisco area and have grown up with a good amount of rain, fog, and cooler falls and winters, and being in Orange County it was something we desperately missed. Rainy and cloudy days are actually my favorite type of days (anyone else way more productive on those days?) and I am so excited to basically be living in a giant gray bubble, haha! I'm a girl whose always wanted seasons, so I'm hoping that maybe in the winter we'll get some snow. When my parents were here I was okay with moving across the country, but now that it's just my sister and I, I wanted to stay closer to her and the rest of my family who are mostly in California. Portland was a little too hipster for Steph and I, so Seattle suddenly became the top of our list. I was determined to move to a "big city" and Seattle seemed to cross off all of our necessities. We wanted to be near nature yet still have the city feel, we wanted the seasons, we wanted to be close to family, we wanted a reasonable cost of living (compared to heading back home to the Bay Area, Seattle is great! ), and so many other little things that all fell into place here. Above is our living room (featuring Steph in the middle and our leasing agent, ha!) and my future bedroom. 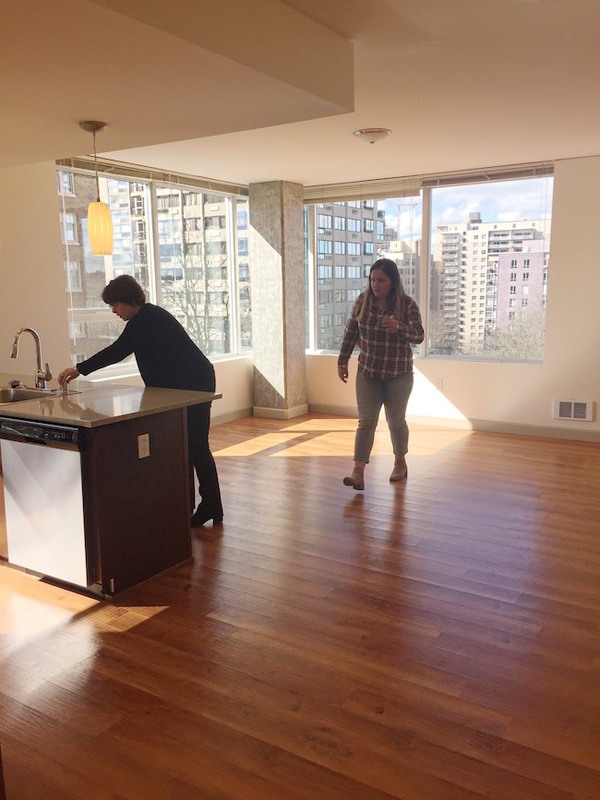 It's a serious downsize from the master bedroom that I have now, but that's city living for you! I technically have the master in the apartment still since I have an attached bathroom, but it's a compromise with Steph since her actual bedroom is bigger. As you can see both rooms have tons of natural light, and a great 'city' view! One of my big wants on my apartment checklist was having a 'city' view of some sort, which to me meant tall buildings. I wanted to feel like I was living in the actual city, and I am completely happy with our views here. Those big living room windows are my favorite thing about our new place! I can't wait to share everything about my apartment once it's all decorated, but for now that's all I've got for you! I hope you enjoyed my exciting moving news! Am I still absolutely terrified that I might not be cut out to live in a city? Of course! But I think that's just moving jitters. Did you get those when you moved to a new city? Have you been to Seattle? SO JEALOUS! Seattle is one of my dream places to live. Love the view from your new apartment! So exciting for you, Sami! Seattle is such a cool city! Congrats on the move and hope you enjoy your new home! Congrats on the move! Once you get your feet wet (figuratively), you will feel at home. Just give yourself time to adjust. Sounds like a fun, exciting time! Hope Seattle is good to you! as a seattlite, i looove seattle! and i think the move will be worth it!! and you are totally moving at a good time too :) sending you good vibes on your transition! I am so excited for you!! I have a lot of family that lives in Seattle and I love visiting them! That part of the country is so beautiful! Seattle is on my bucket list for traveling. I'm a little jealous you get that view with bright windows. I would love to make it to Seattle someday! Your apartment looks beautiful! Good luck on your move. I love rainy days too! So many people don't feel the same but the sound of rain is so relaxing and comforting. Enjoy the exciting move and the start of a new chapter. It's crazy how we can end up in places that we never thought we would, or ones that weren't ever on our minds, but it's great that you're excited to move now. I'm sure you'll create amazing memories in Seattle! Love the open space kitchen - I think that's what it is. Moving can be exhausting, so good luck! Congrats on the move!! I've always wanted to visit Seattle! it seems like such a cool place! I don't think I could live there (east coaster who loves her humidity and sunshine here haha) but it's great that you love clouds and rain!! I'm sure you'll have the best time! Congrats on moving! 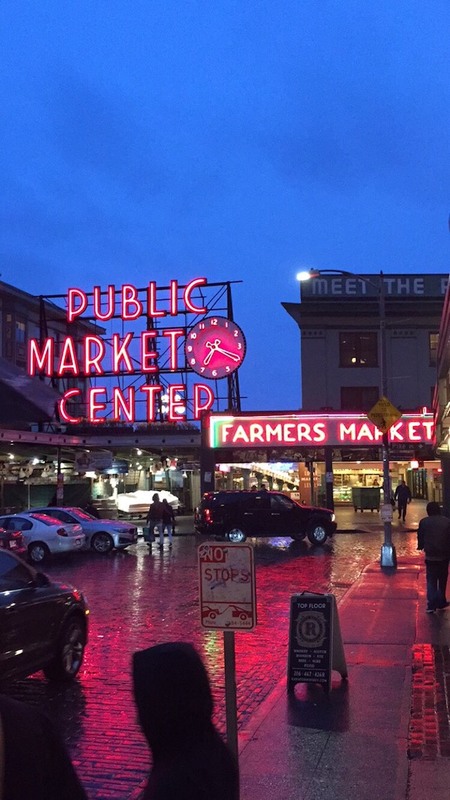 I've always wanted to visit Seattle and it seems like such an awesome place! And your apartment seems like it has a great view. Enjoy Seattle! I've never been but have always wanted to go. Enjoy! I love Seattle! I get there a lot and always find new gems there. Cheers to new beginnings for you- I'm sure your mom will be right there "with" you every step of the way. I'm in the process of figuring out where I'll be in the fall (#teacherlife). And am looking forward to moving, too!